How Much Does an Apartment Building Superintendent Make? Considered a specialized type of property manager, an apartment building superintendent handles all the maintenance responsibilities for the building. This includes both doing some of the work independently and delegating work assignments to others. Apartment building superintendents typically begin the role with several years of experience in maintenance and some business skills. This background allows them to earn more money than maintenance workers; however, location and experience matter for earnings. For example, an experienced apartment superintendent salary in NYC would be higher than an entry-level superintendent's in a small town. Based on May 2017 property management salary data from the Bureau of Labor Statistics (BLS), the median apartment building superintendent pay rate is $58,670 annually. The actual pay depends on where the apartment building is located and how experienced the building superintendent is. Apartment building superintendents are property management professionals who perform some hands-on maintenance responsibilities while assisting tenants and guiding other facility maintenance workers. They must keep track of work orders and requests that tenants make and arrange to provide the necessary materials and services for repairs and general maintenance tasks. Their work can include cleaning the apartment building, hiring contractors, driving to local stores for work supplies, maintaining sprinkler and boiler systems and checking for compliance with the local fire code. While they do hand off some work assignments to other maintenance workers, apartment building superintendents often work directly with the apartment's electrical, heating, cooling and plumbing systems as well as the walls and flooring. They also have to file reports that log all activities, handle labor relations issues, perform building inspections and occasionally assist upper management with additional business duties. This array of duties requires leadership, customer service, problem-solving and mechanical and interpersonal skills to be successful. The basic requirements to work as an apartment building superintendent are a high school diploma, work experience and any state-specific certification or licensure required. High school graduates might start out seeking training in building maintenance from a technical school or community college. This can provide a background to find a job in general building maintenance where they can expect on-the-job training as well. A maintenance worker job provides opportunities to get acquainted with performing small repairs and working with apartment management and residents. The position also includes some business tasks, such as invoicing, collecting payments and filing reports that serve as preparation for a leadership role. What Is an Annual Salary for Home Stagers? To improve prospects for a promotion, aspiring apartment building superintendents can earn a bachelor's degree to obtain a broader view of property management. While degrees relevant to business can work, colleges and universities do offer programs specific to property management that can provide more focused knowledge and skills. Bachelor's degree programs in property management cover topics such as marketing, finance and accounting, lease management, housing laws and safety, tenant relations and housing planning. Another benefit of these programs is the opportunity to complete a property manager internship and gain leadership experience that helps when looking for work. Those who choose to pursue other majors may enroll in a supplemental property management certificate program to learn some of the same topics. In addition to education and experience, apartment building superintendents may need to obtain certification or licensure. These requirements depend on the state where the complex is located and the superintendent's job duties. For example, New York requires building superintendents to obtain licenses to work with boilers, sprinklers and other systems found in apartment buildings. Once hired, apartment building superintendents may receive additional training on the job to expand their skills and keep up with building codes and safety regulations. This can include taking courses from property management organizations or receiving mentorship from the building manager. Apartment building superintendents may oversee an apartment complex with one building or multiple locations. This role requires working directly with tenants and maintenance professionals and coordinating with the building manager. While others live off-site, many building superintendents actually live at the complexes they work at. This allows them to be available quickly for emergencies, and it can come with free or reduced rent. In addition to requiring being on call, this role can bring long work hours to handle meetings and finish maintenance work. Part-time building superintendent positions exist but aren't common. While they spend most of their time doing work on location, apartment building superintendents do occasionally travel to obtain supplies, attend continuing education or visit multiple buildings. Using data from around 186,720 professionals in the field, the BLS reports that the median salary for property managers (including apartment superintendents) is $58,670 a year ($28.21 an hour) as of May 2017. This indicates that half of them make less and half make more. The worst-paid 10 percent of building superintendents make under $29,500 a year ($14.18 an hour), and the best-paid 10 percent receive over $128,630 ($61.84 an hour). Apartment building superintendents tend to make a lower income than most other top industries employing property managers. The average yearly wage for a building superintendent managing apartments and other real estate is $68,370. Those working for the local government, land subdivision or management of companies and enterprises earn higher average wages of $76,570, $91,170 and $110,450 respectively. Earning $142,670 annually on average, the highest-paid managers oversee the real estate associated with oil and gas extraction. The apartment building superintendent pay rate varies across the country. The top three states based on pay are New York, Rhode Island and Georgia, with respective average yearly salaries of $116,140, $100,760 and $96,280. Idaho and South Dakota rank in the bottom of earnings since building superintendents there average only $37,530 and $38,000 annually. Cities and metropolitan areas also vary with income. For example, the average building superintendent salary in NYC is $107,720 yearly, while those in Boise, Idaho, earn just $36,010 on average. Apartment building superintendent earnings also depend on work experience. While it doesn't include information for those specifically managing apartments, PayScale's October 2018 salary data does show a modest $41,000 average yearly wage for entry-level building superintendents with up to five years of experience. The average salary goes up to $45,000 with between five and 10 years of experience and up to $48,000 with 10 to 20 years of experience. The most experienced building superintendents average $52,000 annually. As the demand for apartments and other types of shared housing grows, additional building superintendents will be necessary to help manage and maintain these properties. The BLS predicts a job growth of 10 percent between 2016 and 2026 for property managers of all types. This is a fast employment growth rate that will increase jobs by 32,600 over the decade. In addition to a demand for residential building superintendents, healthcare facilities, homeowner associations and retirement centers will need more property managers. 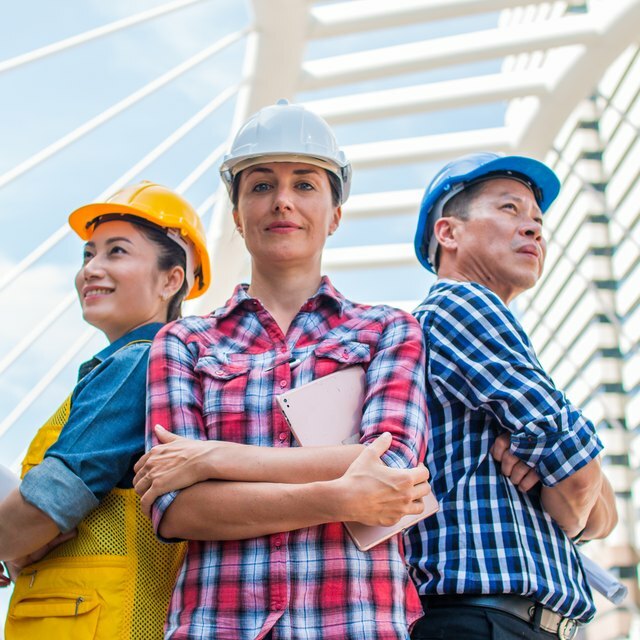 Aspiring apartment building superintendents can stand out with a relevant degree along with several years of experience working in building maintenance or real estate. Boiler equipment certification and experience in plumbing can also help them stand out when seeking work. Understanding Spanish and other common foreign languages is also beneficial when managing apartments with diverse residents.